Submissions invited for the eighth issue of “SERIES. International Journal of TV Serial Narratives” (year IV, no. 02), which will be out in December 2018. The main focus of the journal is to promote a global discussion forum and an interdisciplinary exchange among scholars engaged in research into TV serial narratives. 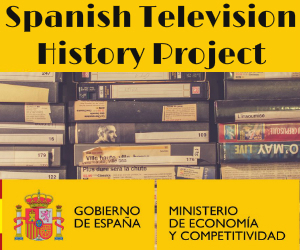 Expected contributions would be concerning the narrative, technological, economic, social and cultural impact of television dramas and comedies, webseries, telenovelas and other serial forms. SERIES encourages submissions that cover a large variety of topics. The deadline for full paper submissions is June the 30th 2018. Call for submissions (detailed description) is available here. “SERIES. International Journal of TV Serial Narratives” (series.unibo.it) is an open access and peer- reviewed journal, with ISSN and indexed in major international databases. It publishes 2 issues per year, and is mainly devoted to television seriality. It is a joint project by Universitat Politècnica de València (Escola Politècnica Superior de Gandia/DCADHA) and Università di Bologna. The archive of previous volumes can be found at the SERIES’ website here . The Faculty of Philosophy of the University of Seville hosts the IV International Conference on Gender and Communication in March 8 – 9 th 2018th. On this occasion and following the previous editions, the congress focuses on the importance of media as educators of citizens in respect to equality and diversity of gender identities. (1) Social representations in current television fiction. (2) The television fiction industry in contemporary society, its mobility, its production dynamics, its localization processes. (4) Consumption of television fiction on different platforms: transformation of audiences and consumption routines.